I was surprised by the big reaction last week to my post about political ebooks for the Kindle. But maybe it’s just because everyone loves a free ebook — so here’s another one I discovered for the Kindle Fire from the University of Chicago. They give away one free ebook each month, and this time it’s a fascinating look at America’s historic debates between presidential candidates, by a man “who was there at the creation of the modern political debate.” And I’ve also found several other fun (and cheap) ebooks on politics that you can download for your Kindle! There’s a humorous footnote. Minow is also famous for complaining in 1961 that a day’s worth of TV programming is simply a “vast wasteland” — a phrase that’s still quoted today, according to Wikipedia. This provoked a humorous response from Sherwood Schwartz, a TV producer who at the time was creating the show Gilligan’s Island. The classic situation comedy followed seven silly castaways who were shipwrecked on a deserted island — and in honor of the FCC commissioner, he nicknamed their boat the S. S. Minnow. 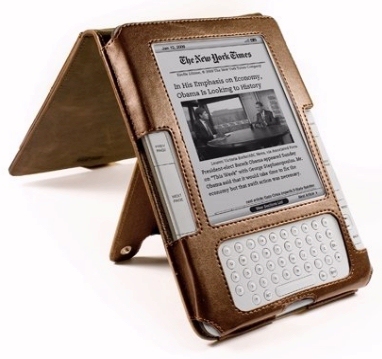 Is Amazon Really Discontinuing the Kindle Touch?